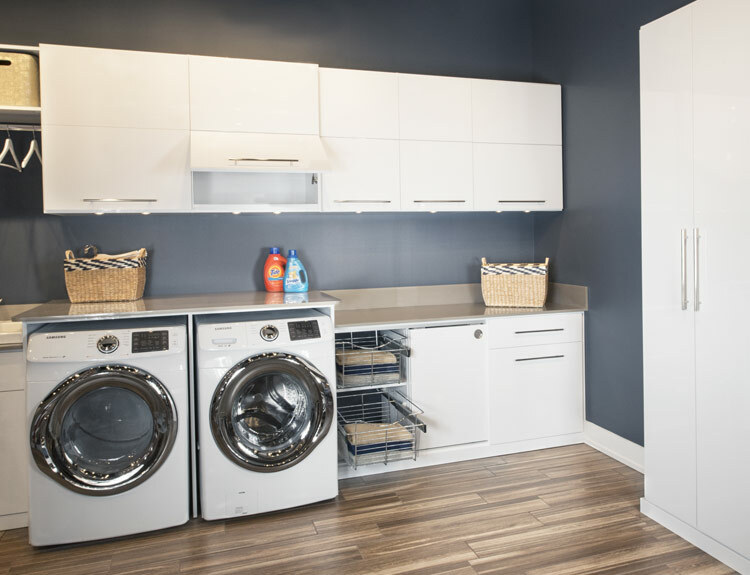 This modern laundry room is a show piece of form meets function. 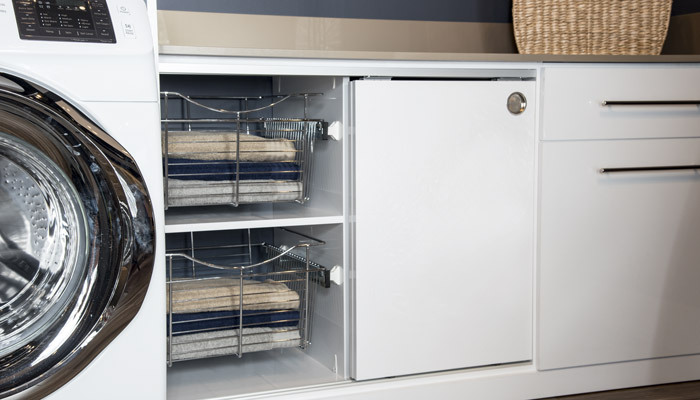 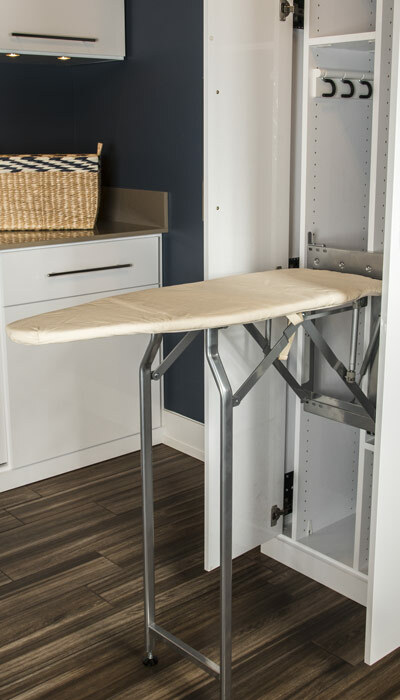 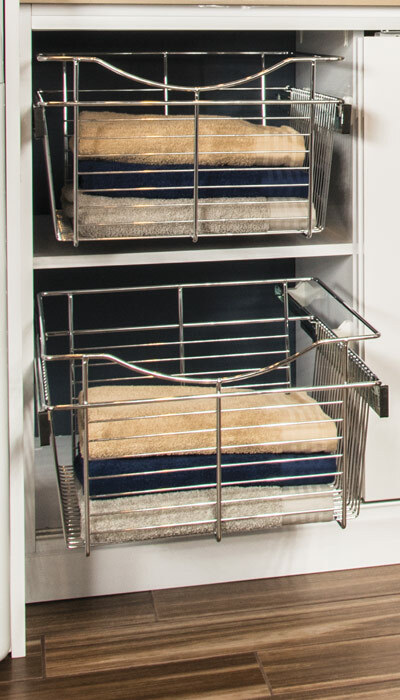 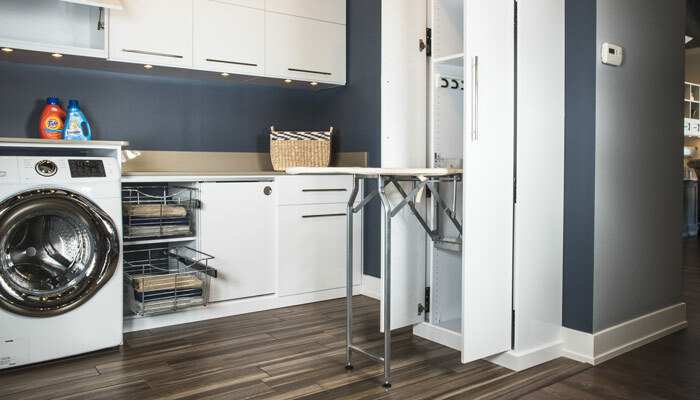 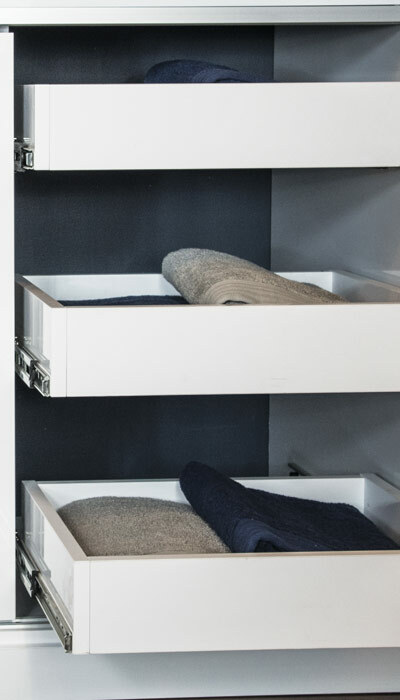 It provides plenty of storage, along with the luxury of time saving accessories that make the drudgery of doing the laundry more pleasant — all within a beautiful space where you can enjoy spending your time. 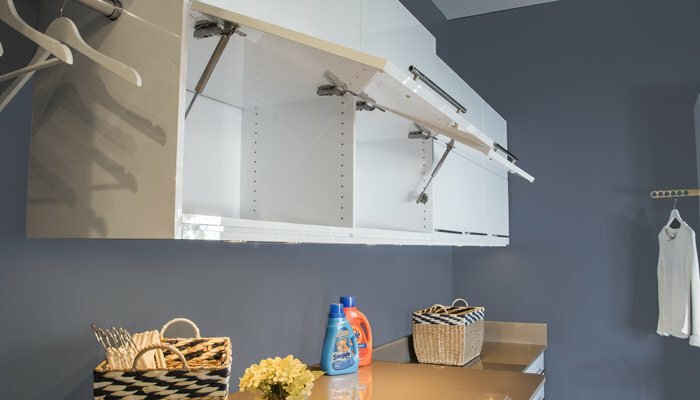 A bright, high gloss finish on the laundry room cabinet and under cabinet LED lighting keep the space illuminated, pleasant and cheerful.